Drop down and get your knees high - it's time to re-learn the Double Dutch! A bit like old-school Jump Rope for Heart, set to Top 40 hits. The wait is over, Fringe is back. It’s your chance to build dreams out of cardboard and stumble across things you might never otherwise see, all in Aotea Square. 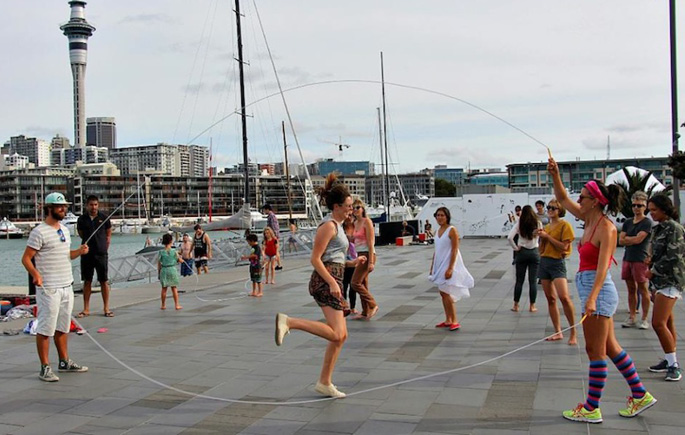 Find out about more Auckland Fringe events on at Auckland Live's Summer in the Square here.